For me, I’ve always been inspired by the blank page. But sometimes whatever magic we can conjure inside of ourselves just isn’t enough. I know a lot of us get inspiration from tv, movies, music, or even just stepping outside our front doors and observing people. It never ceases to amaze me how much magic and inspiration is just waiting for us to tap into it—grab onto it and put it on the page, and I think most of the time, all we need to do is just slow down long enough to notice that it’s there. For me, lately, I’ve gone back and reread the books that made me want to start writing in the first place. The books that first planted that seed of magic—those settings that lingered with me for days afterward—where I would do anything to stay in that world and spend time with those characters. I’ve been analyzing what it is that makes me love these books so much. Is it the ambiance? The characters? The conflict? I’ve also discovered that whenever I beta read for someone incredible it restores inspiration fast. I think when we READ we can discover what it is that made us want to venture into this daring writing world. And even though I think we should immerse ourselves in stories as much as possible (not only for knowing the market and what’s out there), but so we can keep our creativity fresh and keep ourselves aligned with who we want to be as a writer. Because when we are right within ourselves, we’ll be in that place mentally where we can create what we’re trying to portray on the page. Yesterday I received a package in the mail containing an ARC for Woven, David Powers King’s debut novel (Out in January!) with Scholastic. And already, I’m immersed in this wonderful world and pieces of inspiration are stitching itself back together in my writing soul. I’d forgotten what reading could do for my happiness and motivation. Can’t wait to finish it. What was the last book you read that made you inspired to write? 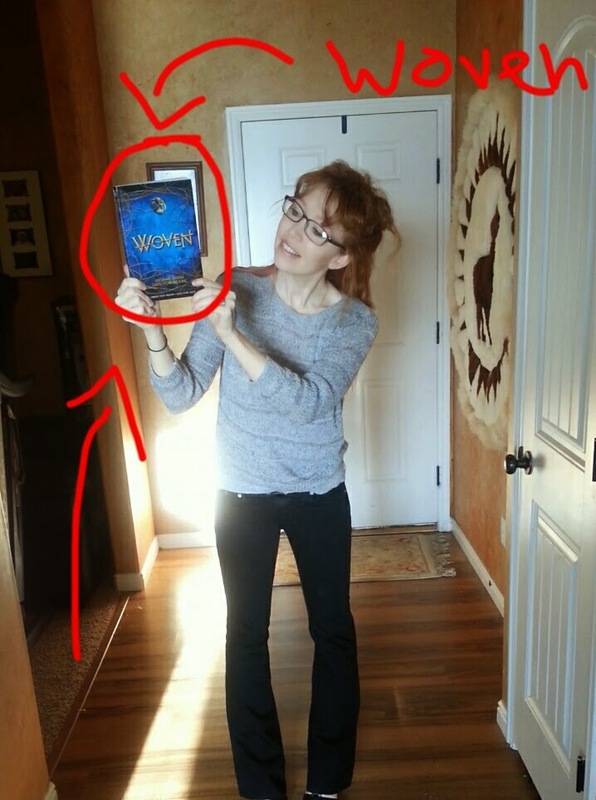 Do you reread books that take you back to that “magical place?” Jealous I get to read Woven right NOW?!?!? I know it’s probably not healthy to look to the past as much as I do… but one of my favorite things is to look back and see how all the little pieces of life have woven together, creating a pathway that in no way seems like a coincidence. I try to live my life in a way so I’m aware of events happening in the moment—so I don’t have to look back and wish I had been more alert to the special nature of the moment. But more often than not, moments pass by and I don’t realize what I had until it’s gone. Sometimes this depresses me… but as life speeds forward, the one thing that brings comfort is being able to see how I have grown or how other people have grown or how we’ve overcome trials and become better for it. As I reflect on the past year, there might be times I wish I could push the pause button on and relive, but this has been a year where I’m beyond grateful to be where I am now! Now: Totally healthy—running 2-7 miles a day, loving life! Last Year: Not having a handle on what I wanted as a writer, which decision was best for me, which pathway to take. Now: I have clear direction and know exactly what I want and what I’m going to push for. Last Year: In total fear for my cancer boy’s life, dealing with unforeseen circumstances. Now: Have most of the new issues under control and managed. Last Year: Overextending myself to try and please others. Giving other people the power to hurt me. Now: Managing my time better with friends. Only aligning myself with people who I really want to give time to—with people I want to know forever. Weeding out the negative. Last Year: I let fear paralyze me. I allowed doubt to take over my life and stop any kind of progression. Now: I’m not afraid anymore. There are still things I wish I had answers to, but the fear of not knowing doesn’t control me anymore. I know that if any of you were to make a list like this, you would be able to see the change as well. It’s been one of those years I wouldn’t want to relive, but like I said above, I’m also grateful for all the ups and downs. It’s such a cool thing to look back and see how much has changed—for the better. 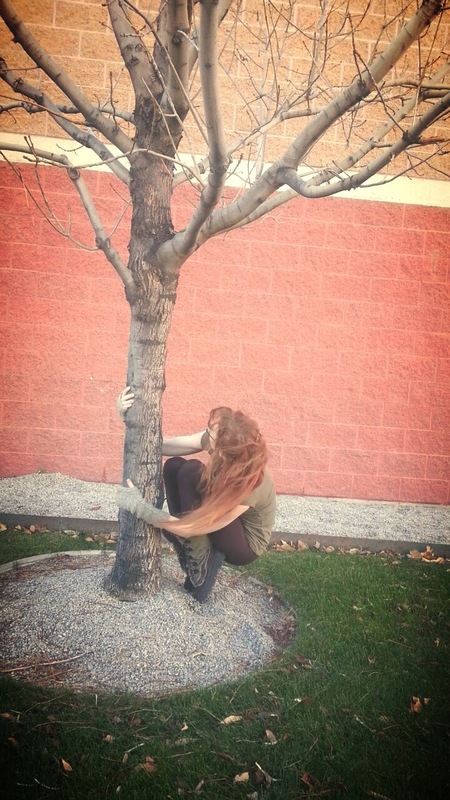 This is a pic I had my 7 yo take of me hugging (sort of) this tree. If you look on my instagram account, you can see how the tree used to be full and yellow and gorgeous, but now is barren. When I saw it, I pulled off to the side of the road because I was so struck with the change that had happened in such a short amount of time. It only reminded me that in a blink, the tree would be full of life again… which totally made me cry as I thought about my own life and how life comes back to us even when we think we're at our lowest and we'll never feel passion again. That's what this year has been. A cycle, just like this tree. Sigh. Anything you want to share? What is the biggest difference in your life right now that didn’t exist a year ago? It’s been a weird couple of months. I’m in that time of life where I keep waiting for things to go back to “normal,” but I’m not sure that the “normal” that’s imprinted in my brain still exists. Life keeps evolving and getting more complicated and changing, and by the time I start to adapt to one way of life, another thing springs itself into the picture and I’m only trying to adapt again. I can’t figure if this is just what life is or if it’s just the period of life I’m in. People keep telling me that I’m in my prime and I need to capture every moment and I need to embrace being young and live up all the opportunities that come my way. But I just feel tired. I’m just trying to survive. I feel so passionate about being a good person. About being a good friend. Being the type of person I want to be to whomever crosses my path. And living up to the potential I know I have. I don’t want to make mistakes—I wish I could just have everything figured out and divide my time perfectly and for everyone to feel loved and create beautiful art and map everything out the way I want. But it’s hard knowing if I’m being a good friend or not. If I’m putting the right amount of effort into the right things. It’s hard when you can’t see the future and you have no idea if your efforts will come to fruition. But then I stop and know I’m being ridiculous. I wouldn’t change anything. Because everything I’ve lived up to this moment has molded who I am. And I can only hope that right now—that this crazy time I’m living right now—is molding a future me, a better stronger version of myself. And it’s in these moments when I stop and reflect that I realize that no matter our past—no matter what lives we lived until this moment—that we’re all just trying to survive. We’re all facing our own tailored individualized demons. Ever feel the winds of change? Like when you know something big is coming on the horizon? For me, I think it’s just finally coming to know myself. I’m realizing the things that don’t have any place in my life. Like when you have to strip yourself of all the noise and really get down to WHY you do the things you do. To WHAT drives you and what is going to shape you as a person. For me, it’s been a good time to focus on the simple things. 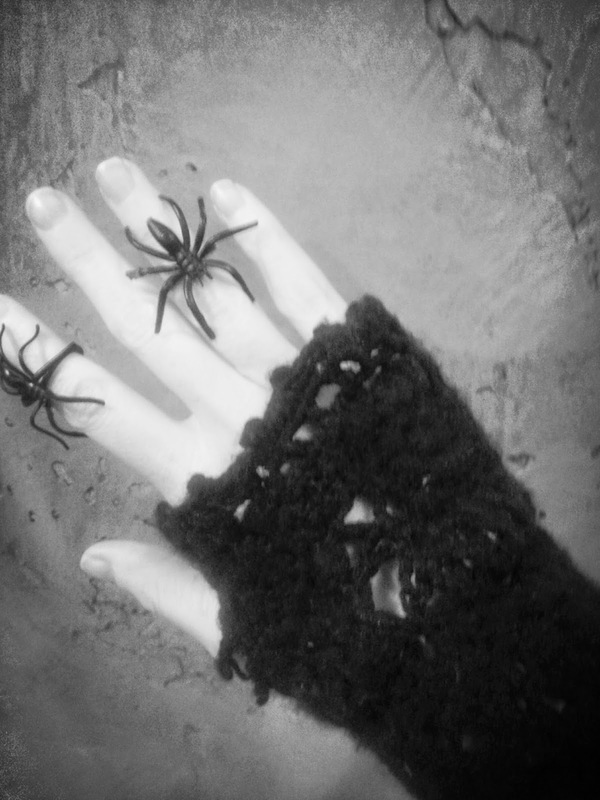 So when people tell me that I should be out having adventures and “living the dream,” all I really want to do is remember what it was like to be a kid, when the most exciting thing in the world was to get a plastic spider ring. Because really, for some moments, that’s enough. Don't You Dare Give Up. I hope this isn’t too weird, but I have some thoughts buzzing around in the inside of my brain, and I really want to release them in blog form. But truthfully, I am speaking to each of you, because so many of you are my closest friends and I want you to know my thoughts. I want to tell you that you’re special. Not special in a cliche, cheesy way, but special in that you matter to me way. Don’t you give up… just don’t. Don’t stop trying. Don’t doubt that you were meant to do this. You have a magic that no one else has. You are here for a purpose—and we’re all waiting for you to reach that “unattainable” goal. It doesn’t matter how many people don't believe in you… even if they are the ones who should be supporting you. It doesn’t matter if you’re standing alone, watching everyone else attain what you’re so desperately fighting for. Don’t let doubt rule you. Look how far you’ve come already. Yes, you could’ve settled for other avenues, but you haven’t. Keep your focus ahead. Trust in that spark that set you on the path in the first place. Look back to the moment when you knew you were meant for this. That moment when time seemed to stop, and you became aware that you were finally living—like you were suddenly conscious of every little detail around you. In that moment you KNEW… you knew that you were meant for great things. And that you were capable of them. Don’t let fear paralyze you. It’s EASY to walk away. It’s EASY to not do it. It’s EASY to let past hurt and heartache stop you from doing what you want. It’s such a personal journey. Learning to overcome the demons inside of you. Pushing them away just so you can get to the place where you can even begin to work. Believe in that feeling—that little voice inside your head that can only be heard when you silence all the other ones. You were meant to do this. And sometimes it feels as if you've already achieved your dream. That your head is floating somewhere over your left shoulder and you're watching yourself try to attain your goals, but you're already standing on the green grass. You know that you’ll get there. Now it’s just doing it. I hope you feel that you matter. That you’re important to me. And to seize onto those moments when truth seeps through and everything freezes, as if you’re the only person alive. But when the world starts spinning again, and you wonder if you’ll ever have another moment of clarity again, remember that that moment happened. And that doubt didn’t exist. And even though there’s nothing you can do to get that moment back—know that there are better moments waiting for you. So don’t you dare give up. I loved Tina very much and miss her greatly. I will definitely be posting my tribute to Tina on Monday, September 8th. Thanks to the A-Z Team for hosting this tribute. 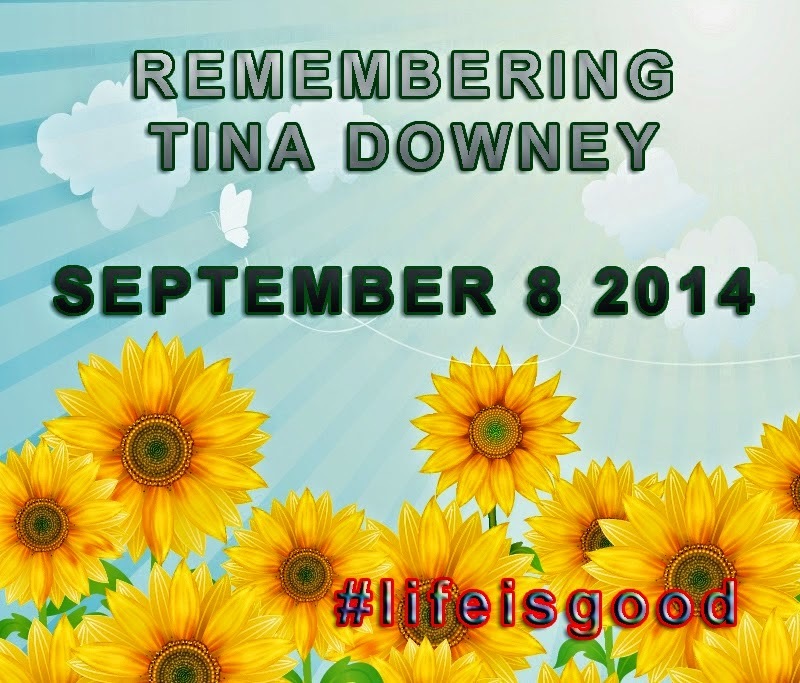 Take a photo of a sunflower and post it in Tina's memory on your blog or other social media outlet. Tina loved her sunflowers, and we want to splash the blogging community with sunflowers that day and honor this truly amazing woman. It's been a difficult week, but the words Tina shared with me days before her passing will resonate with me forever. She was a true friend. One who understood kindness and a listening ear and what it meant to think outside yourself. She was a rare person, a true light, and I will treasure my time with her forever. I'm so excited to have the lovely Julie Musil on my blog today! Julie is someone I've respected and loved forever, and she pretty much has the best posts on craft and inspiration in the industry. Today she's going to talk about being paid with pride as writers. Here's Julie! Perhaps my hubby and I are in the minority, but we’ve never paid our kids for good grades. Instead, we tried to instill in them a sense of pride for working hard--no matter the outcome. I don’t judge other parents who do pay for As on spelling tests, because all parents have different styles. When my 17-year-old son told a classmate, “I’d rather get an honest B than get an A by cheating,” I knew we were on the right path for us. I’m glad my own parents were too poor to pay for As. I worked hard in class simply because good grades were my drug of choice. For a nerd like me, there was nothing sweeter than the high I got from my report cards. Pride became my payment. We can implement this same attitude toward writing and publishing. How? • Accept pride as payment for a completed body of work. Have you finished a short story? Have you typed “The End” on a full-length novel? These are major accomplishments. Whether or not your story ever earns money, you can be proud that you’ve created something unique. • Accept pride as payment for a professional product. Have you polished a manuscript according to a publisher’s or agent’s guidelines? Have you studied grammar and plot structure, then applied what you’ve learned? If so, you can feel proud that you’ve created a professional product worthy of submission. • Accept pride as payment for compliments from others. Have you received a positive critique? Or did you receive valid criticism and used that to make positive changes? Has an agent or editor offered words of kindness, even if they rejected your piece? If you’re traditionally or indie published, did a reader give your book a glowing review? If so, rejoice in what you’ve done right. • Accept pride as payment for carving your own path. Have you taken the road less traveled? Have you ventured into unknown territory with fear? Have you tried one road, realized it wasn’t right for you, then switched? If so, you should be proud of your courage. We won’t know which path is right for us until we take that first step. But that first step can be difficult. • Accept pride as payment for the example you’ve set for others. If you’re a parent, have your kids watched you work hard and persevere with a good attitude? Did they cheer you on as you took a major leap? Have you inspired other writers to be bold and pursue writing on their own? Have you encouraged another writer to keep on keepin’ on, despite setbacks? If so, you should be proud of your impact on the lives of others. Notice that none of these measures involve real money. Cash is great, but for most writers, this journey is not about financial gain, but about honing a craft and sharing a piece of ourselves with others. There’s great peace in knowing that payment is rendered by ourselves--in pride. Are you proud of all you’ve accomplished? Have you reached a major milestone lately? Have you taken a small step forward? Please share! Isn't Julie fabulous??? Do check out her work. She's so incredibly talented. 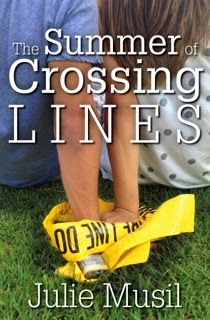 (And The Summer of Crossing Lines is out TODAY!!! I just bought my copy!) I know that I'm definitely reaching some of my own milestones right now, and it feels good to continue to discover who I am as a writer.